Whether you need roof repairs or a full roof replacement, we are the local roofers you can trust. Premier Roofing & Siding Contractors serves the Southeastern Virginia & Northern North Carolina area, providing roof replacements and repairs done by a certified, experienced team of roofers. 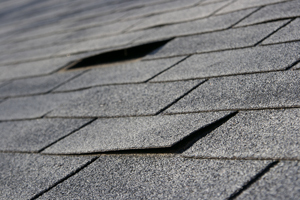 Even excellent maintenance work can't prevent roof damage that occurs because of severe weather and freak accidents. Roof repairs are often necessary when a building is exposed to high winds and impacts from falling trees. Of course, some roof repairs, including roof leak repair, can be avoided by preventative work such as roof snow removal to prevent ice damming and roof collapse due to snow loading. If your roof has been damaged, call Premier Roofing & Siding Contractors for a fast, effective solution. Whether your roof needs to be repaired or replaced, Premier Roofing & Siding Contractors provides quality roofing solutions at a fair price. Our roofing services are designed to restore the overall structural integrity of your roof. Call us at 1-844-385-9334 or contact us online for a free estimate for roofing repairs throughout Norfolk, Hampton, Williamsburg, Suffolk, Portsmouth , Yorktown, Elizabeth City and nearby. Get a FREE Roof Repair Quote Today!